Shriram Life Insurance is one of the up and coming companies in the life insurance industry. The company offers a diverse range of policies that cater to customers with different needs. It was established with the objective of providing various high-quality, cost-effective products for its customers. Apart from protection plans, the company also offers various saving-oriented plans that help customers achieve their specific investment goals. Before investing in these plans, customers can use the premium calculator to calculate the exact amount they have to spend to meet these investment goals. There are different types of investment-oriented life insurance policies offered by companies. These plans help customers save money for specific investment goals like building a new home, buying a new car, saving money for children’s education or marriage expenses, etc. To achieve these goals, policyholders must know how much they can earn from their investments. Premium calculators provide them with the information they require before starting their investments. These calculators provide customised results based on the customer’s personal details and desired sum assured amount. Based on the results generated, customers can choose the right plan that fits within their budget. On the homepage, click on the ‘calculator’ link located on the right side of the page. Here, enter your age, gender, sum assured amount, policy term, and premium payment term to know the premium charges instantly. 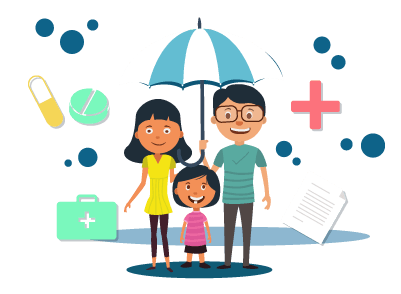 Here, choose the plan for which you want to know the price and enter your personal details like date of birth, policy term, premium payment term, sum assured amount, to know the premium charges. By using premium calculators, you can compare the different products available in the company’s lineup and choose the best one suitable for you. This will come in handy if you are comparing policies from different insurers in the market. Customers can save a lot of time when they use the instant premium calculators. Here, they can know the price of a product at the comfort of their own homes. All they have to do is enter their personal details and let the calculator give the price quote. It is possible to gain more information about a product by using the premium calculators available on the company’s website. Customers can understand the factors that influence the price of various life insurance products. They can also plan their investments based on how much they can afford. Insurance companies can cater to a wide range of customers with the help of their premium calculators. Since customers can access these calculators anytime they want, companies can save time and money on providing customised responses for every single premium quote request. Shriram Life offers a range of plans including protection plans, savings plans, retirement plans, investment plans, etc. The premium calculators offered by the company can provide a price quote for all these products instantly. By knowing the investment and return from specific products, customers can choose the best plan that fits within their budget.